Lisa commenced with Opteon in November 2016, playing an important role in Opteon’s transformation to an integrated structure. In addition to being Company Secretary, Lisa leads the legal and risk team and manages franchise relations and compliance. In the 2018 financial year, Lisa also led the People & Culture and Marketing teams. Lisa is a commercial lawyer with over 13 years’ experience, specialising in mergers and acquisitions and corporate governance. 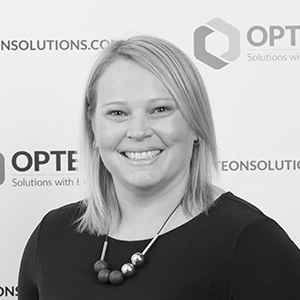 Before joining the Opteon team, Lisa worked at law firms Maddocks and Clayton Utz and in-house for an education and media company. Lisa holds a current legal practising certificate, a Bachelor of Laws (Hons) and Bachelor of Science (Hons) from the University of Melbourne and completed the Governance Institute of Australia’s Certificate of Governance Practice in April 2017.